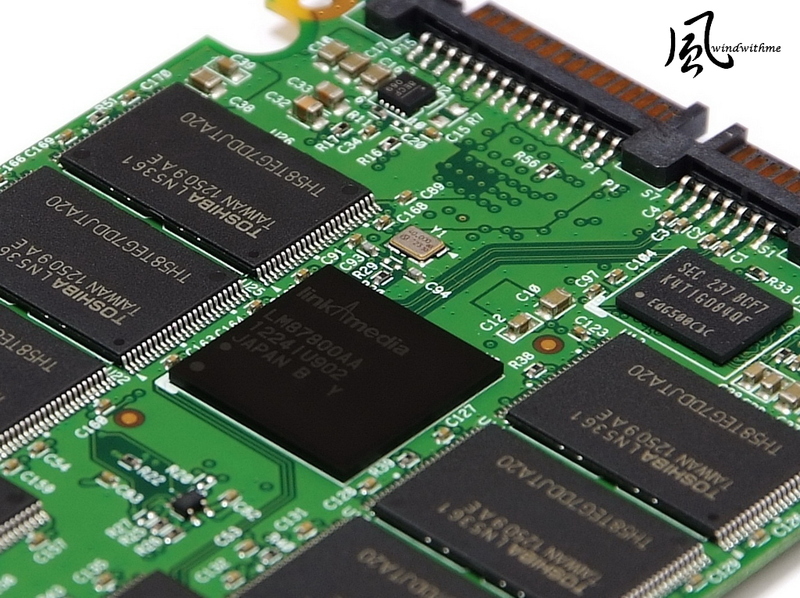 These years, Solid-State Drive becomes key weapon to enhance PC performance. For 3D performance, VGA is the key. For multi-tasking and graphic design, high end CPU is the must. 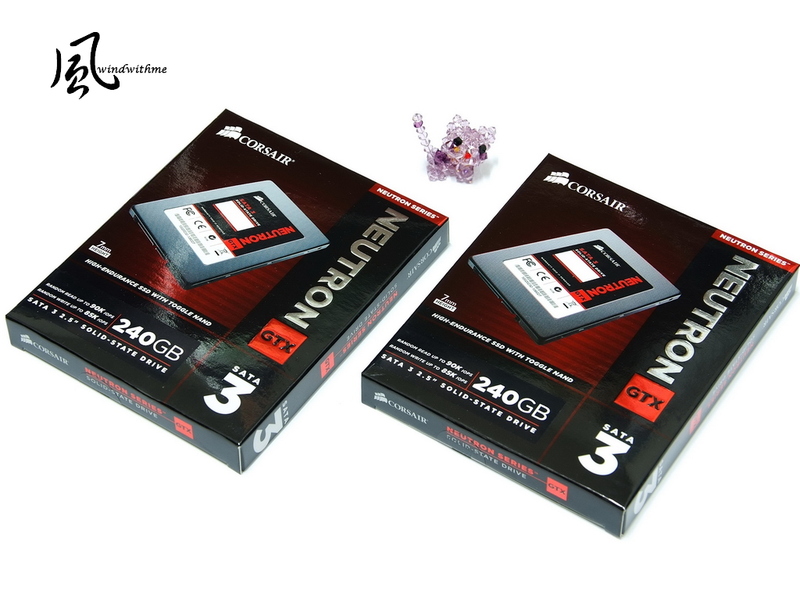 Besides these, for on/off PC, saving files or executing programs all need SSD. Intel and AMD launched several native SATA3 chipset in 2 years. Now, every SSD providers are designing for the best performance in SATA3 6Gb/s. So far, CORSAIR has 6 series SSD product lines. They use different controllers and NAND Flash to rich SSD performance and diversity. As mainstream SSD, Corsair has specific models for SandForce and Marvell controllers, CORSAIR Performance and Force Series. 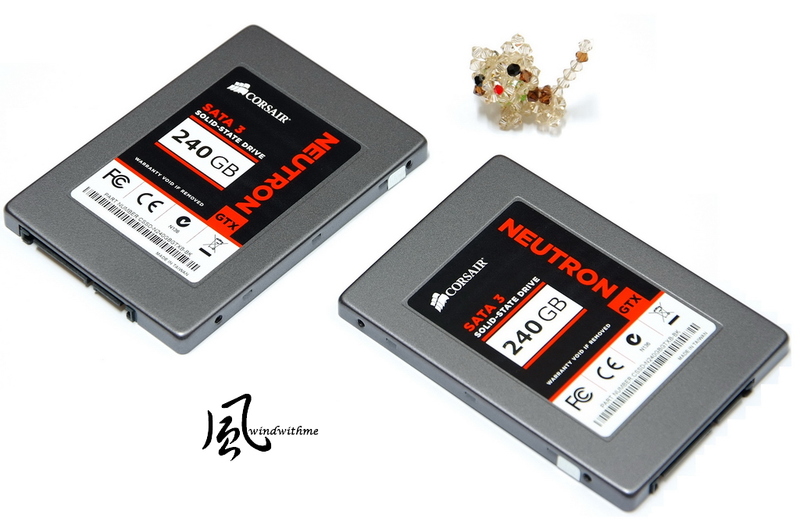 In 2012, they launched a new SSD line, called Neutron Series, which is the one in this article. Neutron Series has general and GTX product lines. Let?s start from the packing. You can see the model name is Neutron GTX. The performance is higher. Left side is black 2.5? to 3.5? adapter, SSD installation screws and product manual. 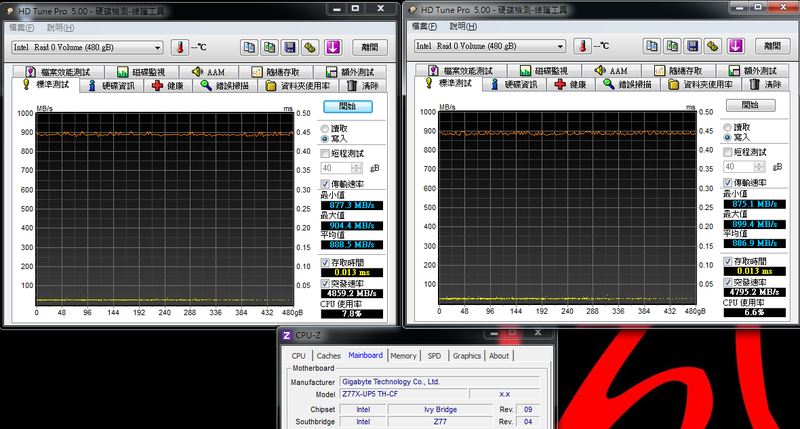 Right side is Neutron GTX 240GB. The shell is metal with gray coating. The touch texture is more like matte with grain. CORSAIR provides 5-year warranty. The capacity has 120/240/480GB. Size is 2.5?. Capacity is 240GB. As per official specs, ATTO Disk Benchmark max read/write is 550/470 MB/s. Random 4K read can reach 90 IOPS and Random 4K write is 85 IOPS. Backside is same material and color as front. Lower right is SATA3 and power connectors. There are 2 silver laser stickers on shell. As warranty and internal hardware security, you better leave it as origin. Neutron Series both lines, the thickness is 7mm. For PC users, It's no impact. For slim NB, it provides better upgradability. Many slim NB change 2.5? 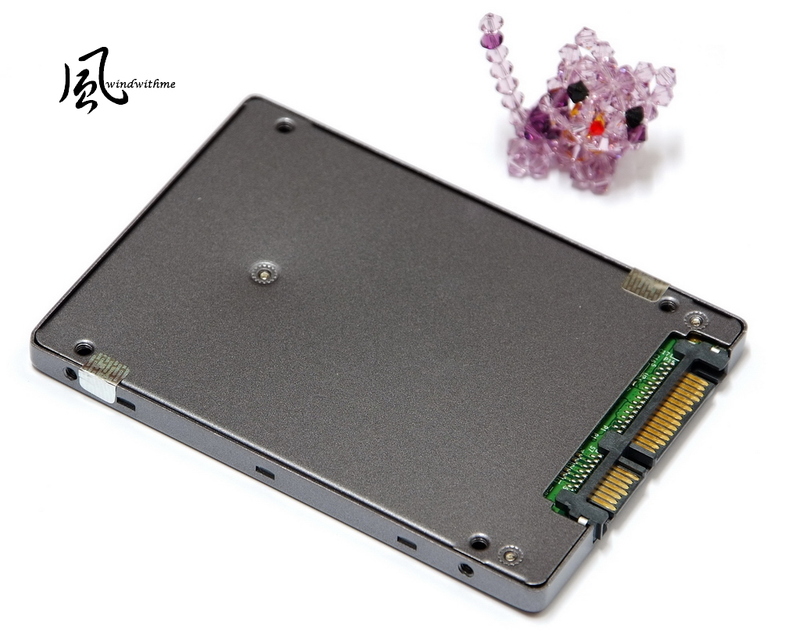 SATA to 7mm HDD. This is perfect fit to it. Front and back sides are without screws. It's fixed by latch. I would like to warn you that sticker moved will void the warranty. Please don?t try if it's not necessary. Left has one Samsung K4T1G084QF, DDR2 800, and 128MB. You need to take our 3 screws to see the other side PCB. There is one more Samsung K4T1G084QF to make 256MB DRAM Cache. 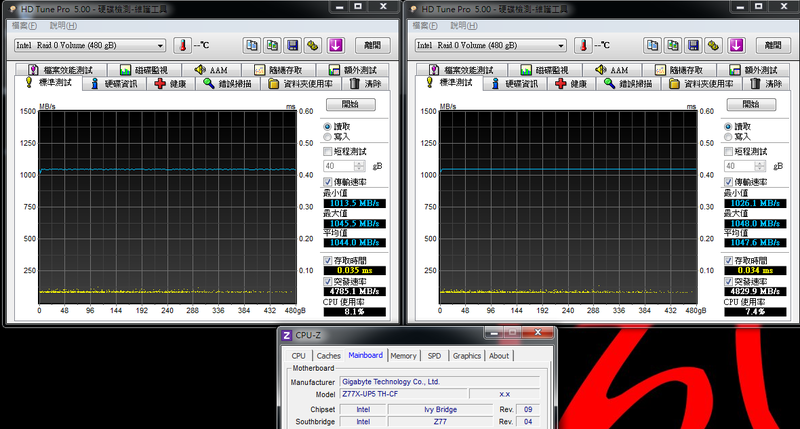 There are also 8 TOSHIBA TH58TEG7DDJTA20 NAND Flash which is same specs as Plextor M5 Pro. 19nm TOSHIBA NAND Flash single capacity is 16GB, so total is 256GB. Using similar design as SanForce structure, 16GB is moved for buffer, so the model is 240GB. Controller is the key selling point for CORSAIR Neutron Series, Link_A_Media LM87800 Controller. Between shell and chipset, they also put thermal paste. What?s the performance difference between SandForce and Marvell? You will see in following test. 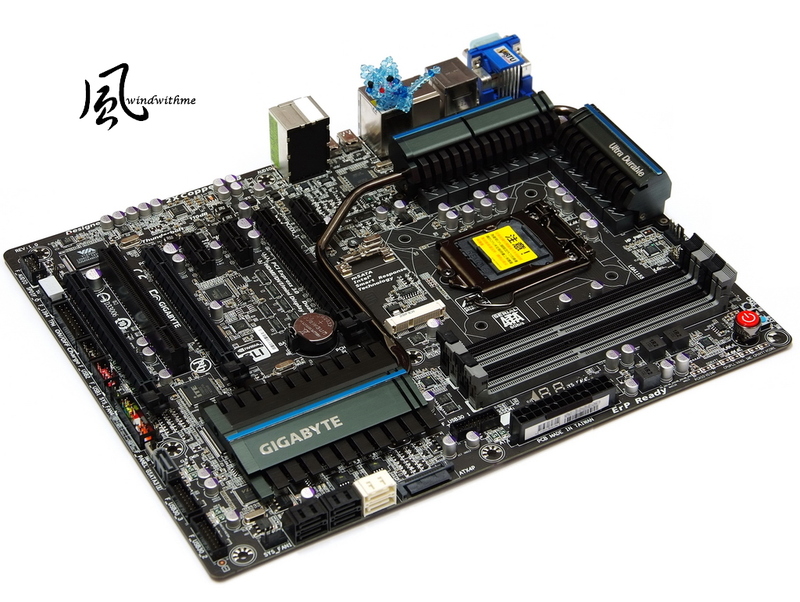 System is Intel Z77 chipset, GIGABYTE Z77X-UP5 TH. It's mid-high end in Z77 market. It provides 2 latest Thunderbolt Ports. Ultra durable 5 uses IR3550 PowIRstage to make MOSFet temperature lower. 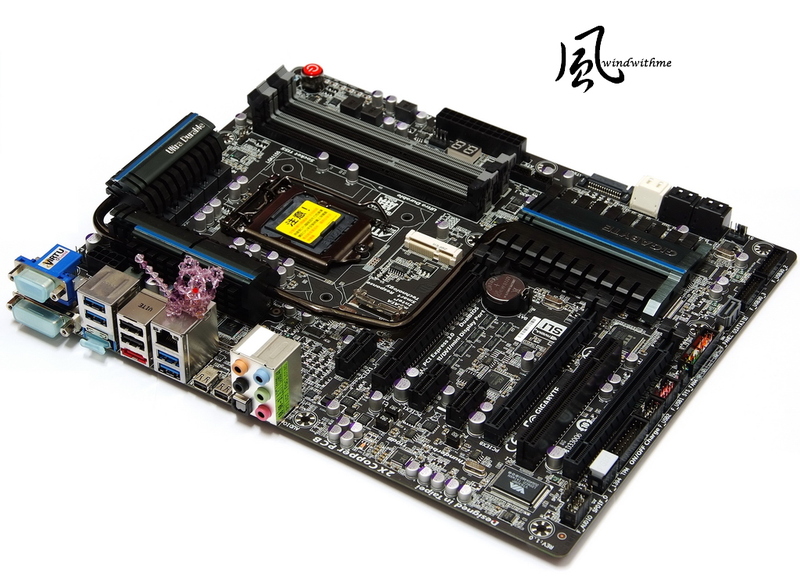 It supports 3 PCI-E X16, 3 PCI-E X1 and 1 PCI. In design, components and upgradability are all good. Intel chipset always has better IO transfer rate. Also, 7 series chipset officially supports Raid 0 Trim. Single CORSAIR Neutron GTX 240GB installed on SATA3. It's Non-OS system drive without data. 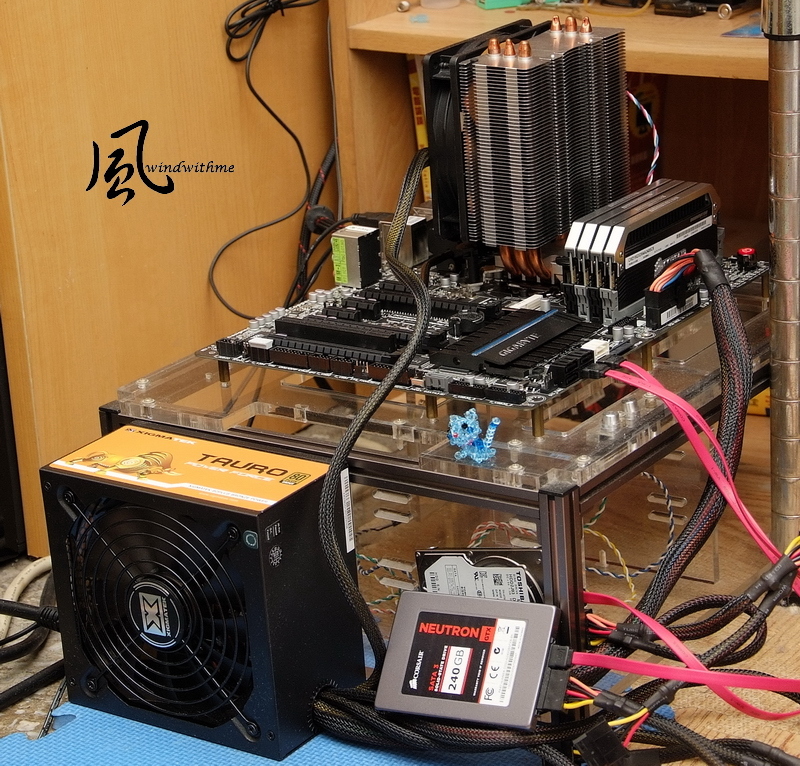 Test performance on Intel Z77 platform. Black Size is a special feature. Left side is default 64K and right is 8MB. In 64K Write, it's not stable. However, some parts have good performance. Especially, Access Time is less than 0.030ms. It's really helpful for shorten waiting time. 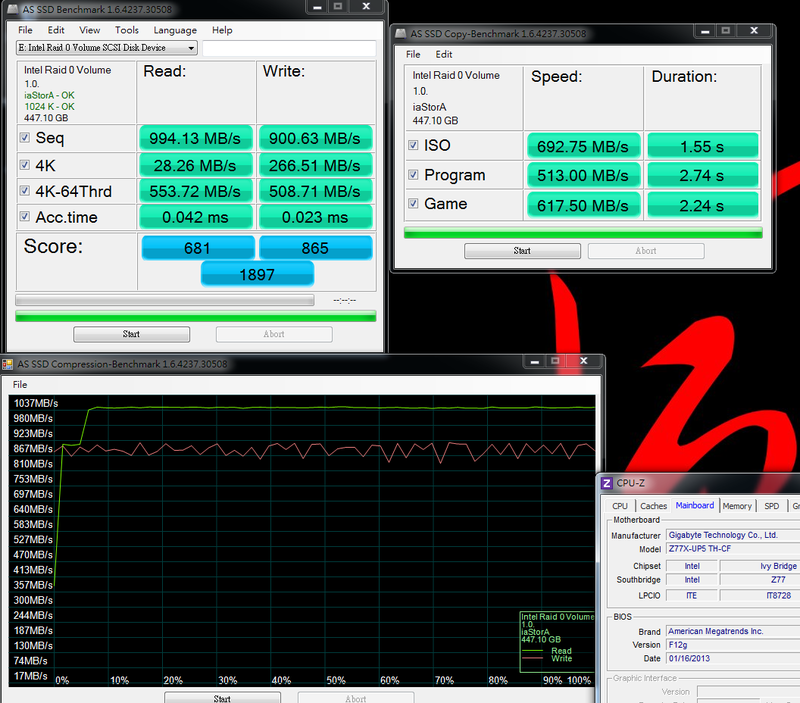 ATTO DISK Benchmark over 128KB, the max read is 550.3 Mb/s and write is 465.1 MB/s. In Random 4K test, the max read performance is 90 IOPS and max write is 85 IOPS. You can see the performance is almost same as official specs. 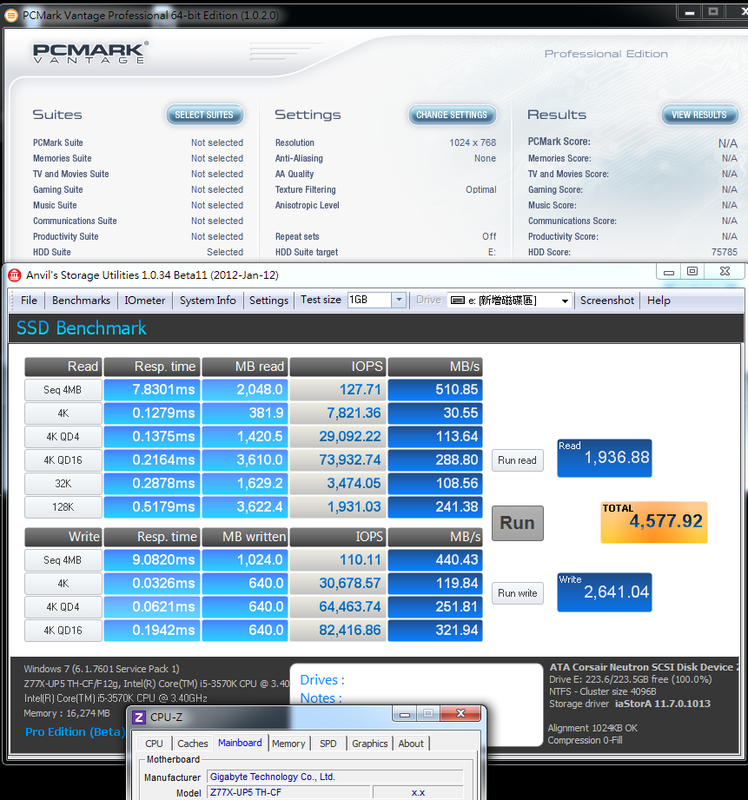 CrystalDiskMark default test in random and sequential are the same performance. This part is similar to Marvell Controller. it's one of LM87800 Controller advantages. By the way, Write Seq and 4K QD32 are higher than Marvell Controller. 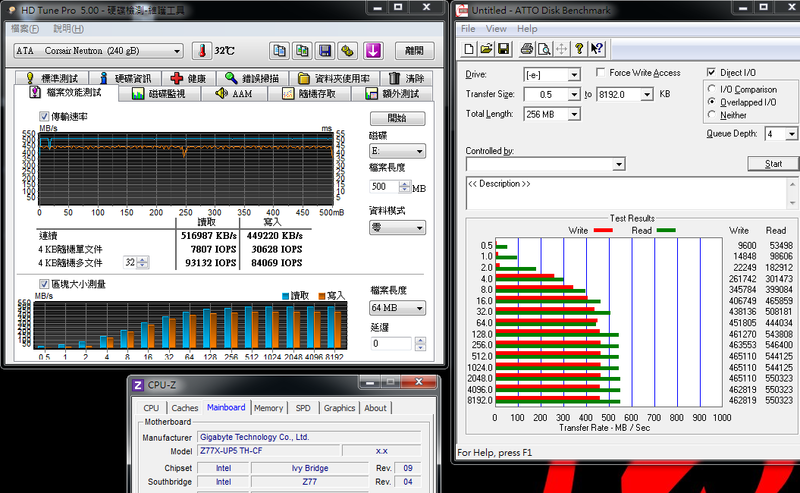 AS SSD Benchmark total score is 1136. 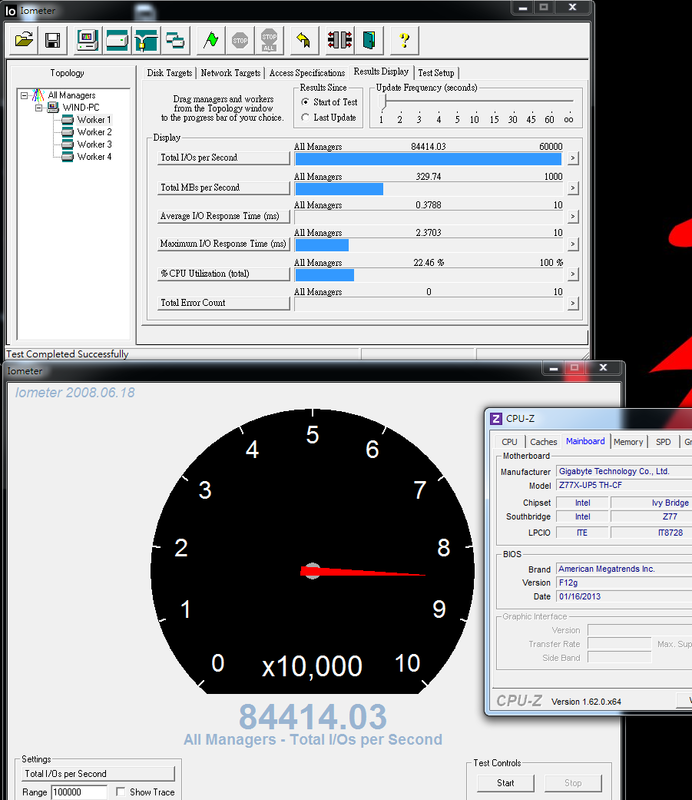 For most SATA3 SSD, this score is really high. 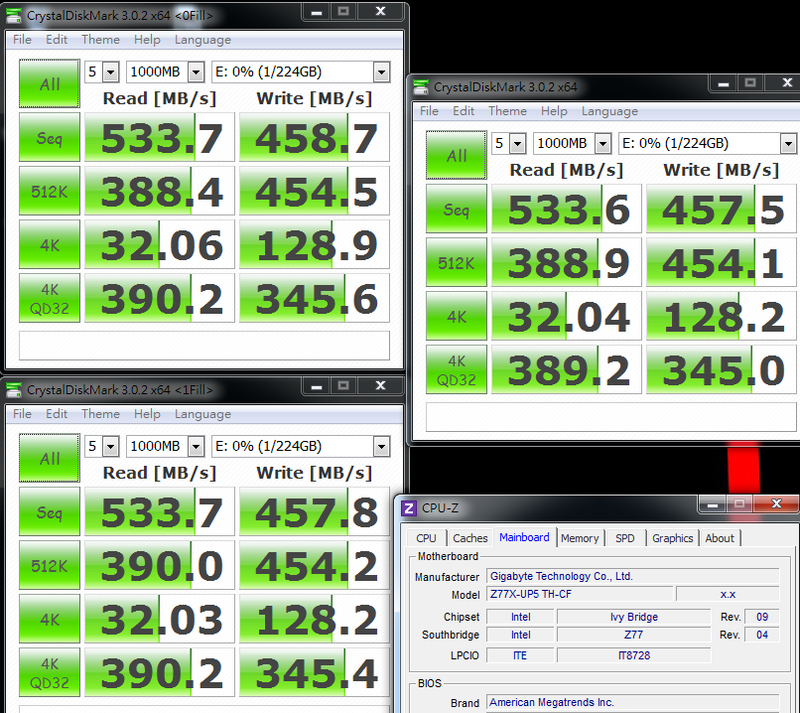 4K-64Thrd breakthrough 300MB/s is another index for new high performance SSD. Compression Benchmark is consistent straight line. Read is above 510MB/s and write is about 429MB/s. As you can see IOMETER 2008 Random Read / Write 4KB benchmark is very good. The important thing is running after 30 minutes, it doesn?t decline as SandForce. Neutron GTX uses LM87800 Controller should be same as Marvell flaunting non-declining technology. All drivers except LAN and Intel Smart Response Technology installed. Basically, after entering desktop, LAN will search for a while, so you can see the booting time is 1~2 seconds longer. Neutron GTX booting speed is excellent. It takes less than 12 seconds with all drivers installed. Of course, the booting speed will be slower due to users installed TSR. This is just for your reference. Two CORSAIR Neutron GTX 240GB install on SATA3. In Raid 0 mode, no matter Black Size set at 64K or 8MB, all can get very high speed. The speed is almost double the single SSD performance. ATTO DISK Benchmark over 8KB test can reach max read 1109 Mb/s and write 930.2 MB/s. Sequential 4KB randon Read increases 18% and 4KB random Write increases 54%. ATTO DISK Benchmark in 8KB is almost reaching the highest performance already. If you are using more small size files, you still can experience Neutron GTX high speed. 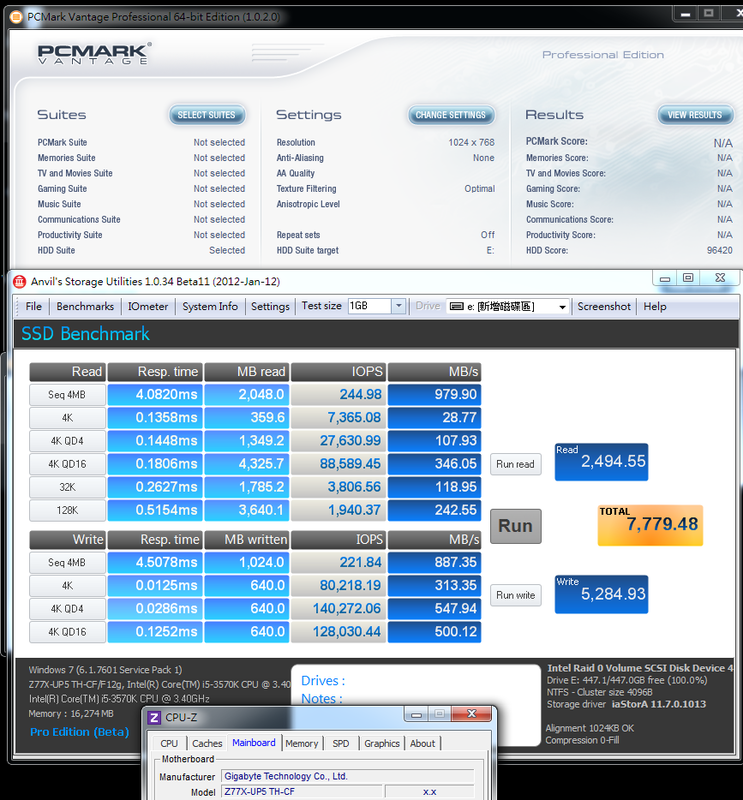 CrystalDiskMark benchmark is almost same as HD Tune Pro. It's close to double performance. AS SSD Benchmark total score increases around 67%. Seq Write performance is even 2 times more than single SSD. PCMark Vantage - HDD Score increases 67%. SSD Benchmark TOTAL is 70% more. Neutron GTX 240GB Raio 0 installed Windows7 Ultimate 64bit to test booting time. Raid 0 booting speed is almost the same. However, 9.2~10.2 is the fastest speed I have ever seen. Former several SSD still took 11~14 seconds. CORSAIR Neutron GTX Raid 0 mode performance is excellent. Most benchmark is almost double the performance. Most software has 70% improved, also write curve is very stable. 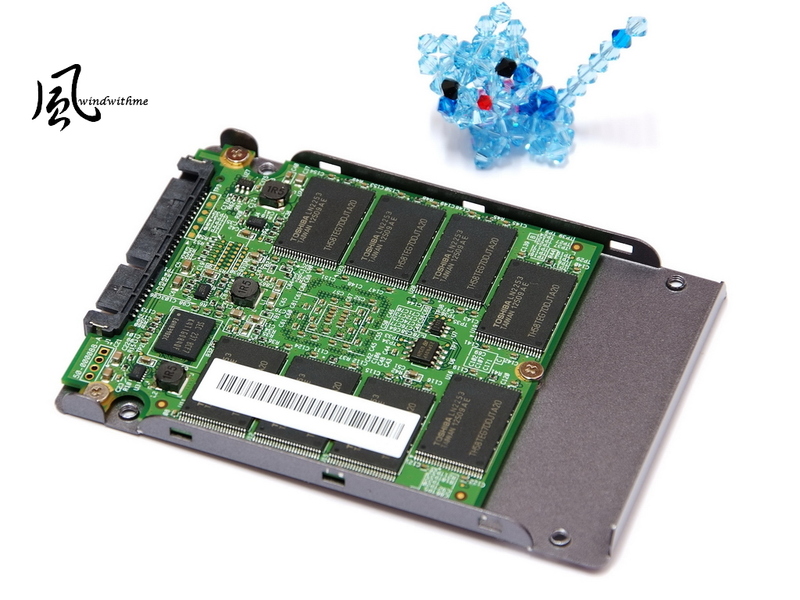 Intel Rapid Storage Technology starts to support Raid 0 Trim in 7 series chipset. For the enthusiasts or requiring high speed transfer, this is a good news. Also make SSD be used in more environment. CORSAIR Neutron Series extends warranty to 5 years and uses latest LM87800 Controller. 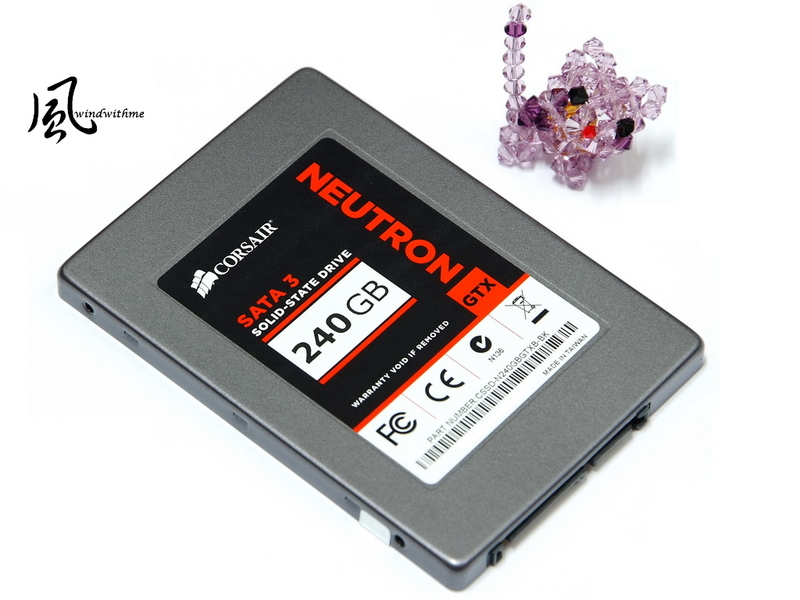 Neutron uses ONFI NAND Flash which is lower price and full 256GB capacity. Neutron GTX uses Toggle NAND Flash which is higher performance with 16GB buffer. This is the difference in two Neutron 256GB models. 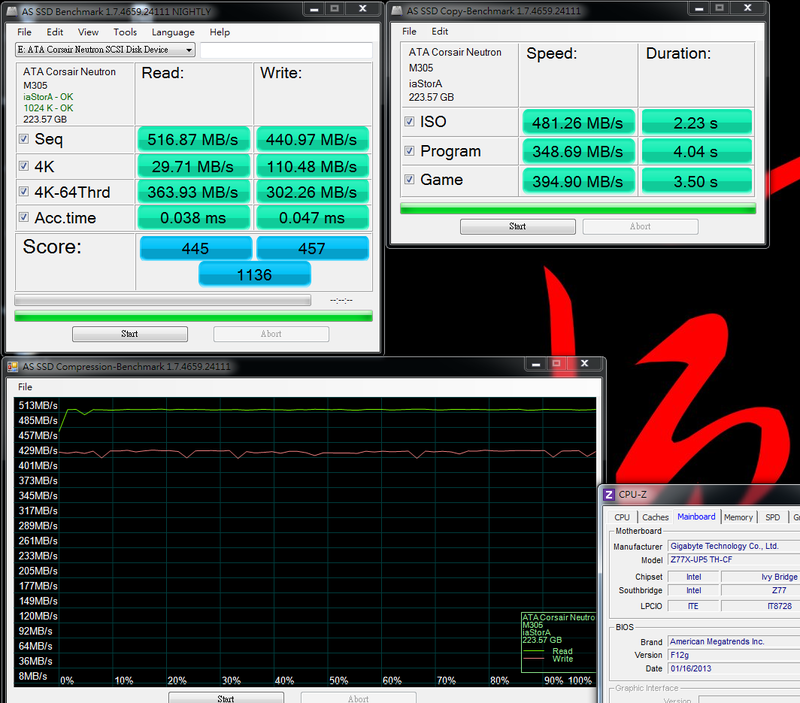 SATA3 SSD read performance has reached 500 MB/s since long time ago. 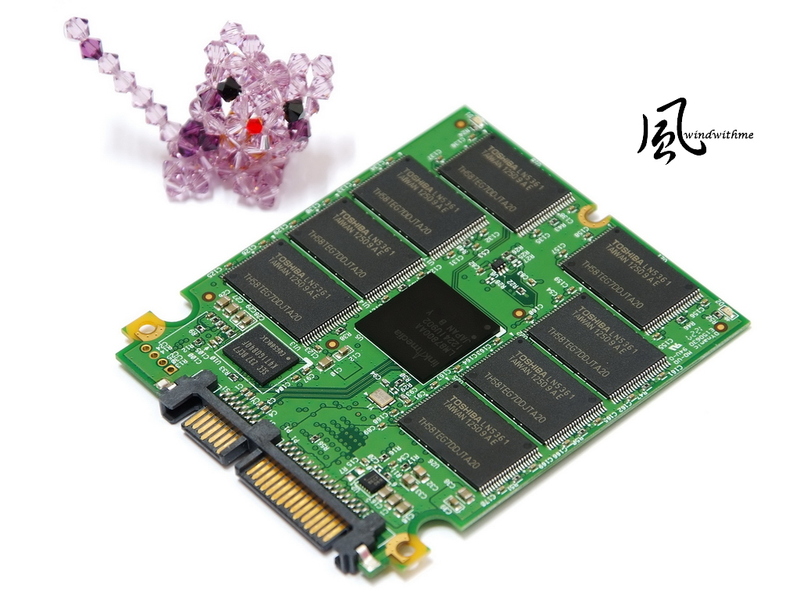 Recently, SSD design is more on writing performance to reach 400~500 MB/s or 4K performance to 300 MB/s. Another goal is non-declining at 85~95K Random 4K IOPS after using for long time. 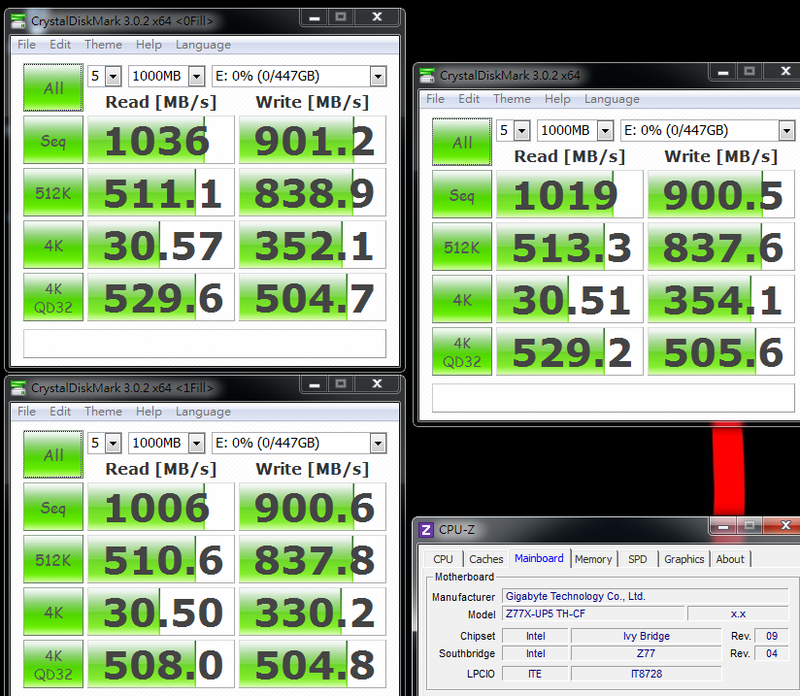 You can see SATA3 SSD trying hard to utilize 6Gb/s bandwidth. The performance is getting higher and higher. 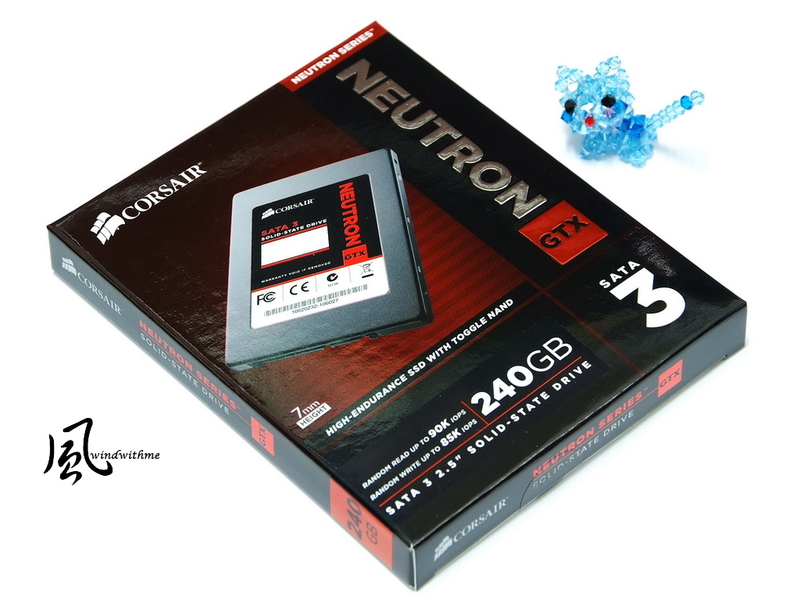 CORSAIR Neutron GTX is most benchmark are one of the best in SSD market. The price is slight higher. With new controller, it brings another options to users in high end SSD market.